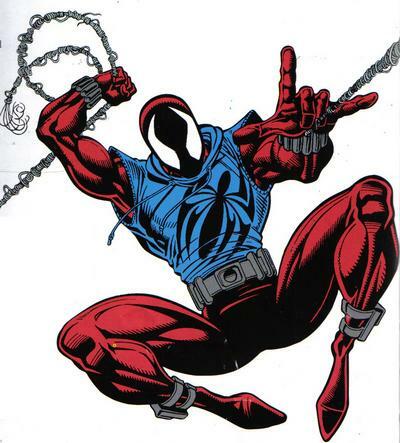 The Scarlet Spider is a pretty controversial character, heralding from the spider man ‘Clone Saga’ in the 90’s. The Scarlet Spider was Spider-man’s clone, come back after a few years away. He made the scarlet spider costume quickly, an all-red bodysuit, and threw on a blue hoodie he got from the Museum of Natural History to complete the look. If you’re concerned about the name then don’t fret as it was actually worked into the comic as what others called him (the character himself didn’t like the name and thought it was stpuid) – that’s a nice bit of pre-Marvel movie-verse character name dropping where it has become common place now. Personally I always thought Scarlet was pretty cool, and even though lots of fans take issue with the scarlet spider hoodie over spandex design, I liked it. Ben Reilly, the clone of Peter Parker, everyone’s favorite scarlet Spider man, the only sleeveless-hoodie wearing Spider-clone. 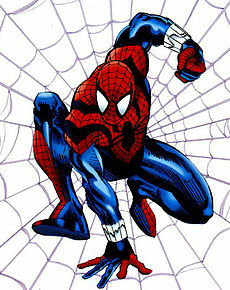 I think people could reasonably have hope that Marvel will bring back Ben Reilly and make an awesome story out of him. I mean, it’s certainly possible, that Ben Reilly will be getting some long-needed redemption, which he will immediately squander by wearing a sleeveless, light-blue hoodie. Now this cover by Ryan Stegman for Scarlet Spider #21 shows that the original Scarlet Spider is very much back, and is still able to find people who are making that Scarlet Spider costume! Of course, speculation is still flying as to whether this is in fact Ben Reilly, but between the outfit and the use of the iconic “impact webbing” that Reilly was so fond of using, all signs point to yes. Check out the cover below, and start wondering now whether there is enough room in the Marvel Universe for two Scarlet Spiders!